The word “cancer” is never something that one wants to hear. No matter what type, where it is in the body, or which stage, it is just plain and simply an unkind and often fatal disease. Although it is nasty, we are going to take a closer look the specific role it plays within the mouth: oral cancer. Let’s take a closer look at causes and facts that are connected to this disease. Poor Nutrition –The nutritional value in fruits and vegetables benefit you in many ways. They help give you a healthy body and mind. But beyond that, there is an increased risk for oral cancer in those who have a low fruits and vegetables diet. Have a salad, eat an apple, munch on some greens. Your oral health (and overall wellbeing) will thank you. If you have experienced any of these symptoms, and they have lasted more than two weeks, it is important to have dentist take a look at what may be causing them. 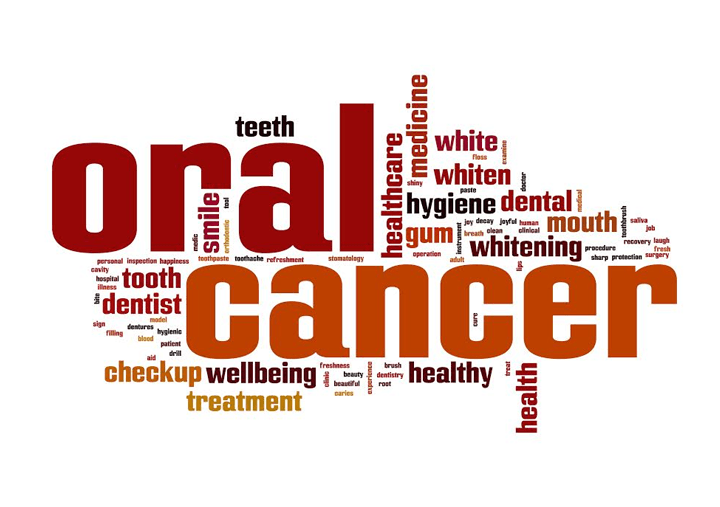 Oral cancer is no joke and regular visits to dental clinic can be the difference between life and death. When oral cancer is caught early there is a higher chance of successful treatment. The longer it persists, the greater chance of it becoming fatal. If you have any unanswered questions about the risks of oral cancer, call us TODAY to book an appointment and our staff will be happy to help. Very nice post…thanks for sharing..
your precautionary measures will be useful for me, i can understand your concepts which will be helpful to prevent my teeth diseases. This blog has clearly explained about the risk and measures of oral cancer and makes me to think about the tooth health.